American author and conservationist recognized for saving the whooping crane from extinction by discovering  the nesting ground of the sole remaining flock near the Arctic Circle. 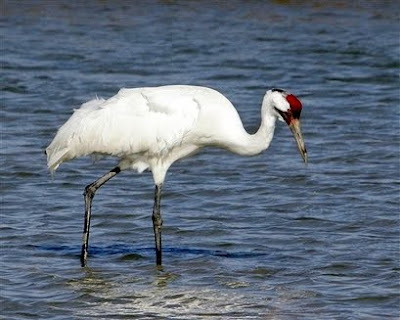 He was a leader in having whooping crane habitats in Texas and Canada proclaimed as refuges. He helped establish a working protective plan for flamingos and recommended methods of saving the small surviving colonies of roseate spoonbills, thus helping to perpetuate the species. His monographs on the whooping crane, the roseate spoonbill, and the American flamingo are the standard authoritative works on these species. Many books by Allen are available at your local library.